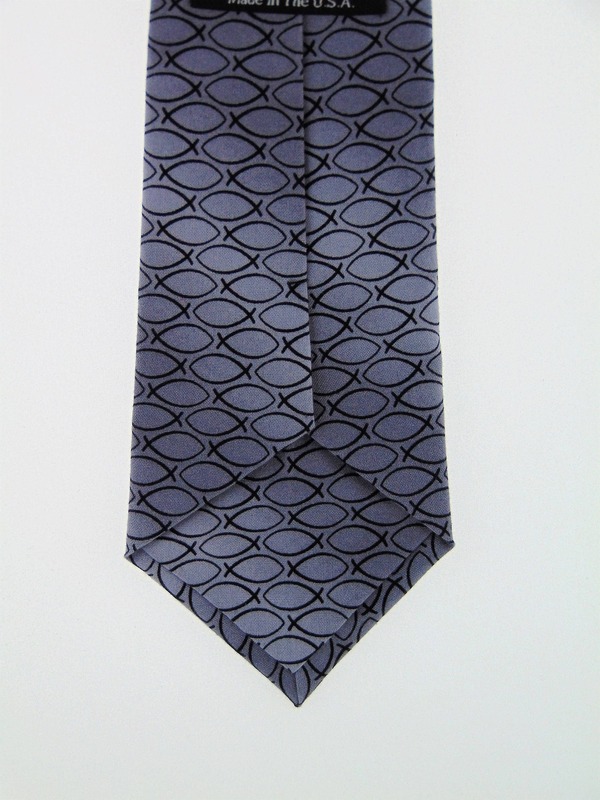 Christian Fish Tie – Mens or Boys Jesus Fish Necktie. 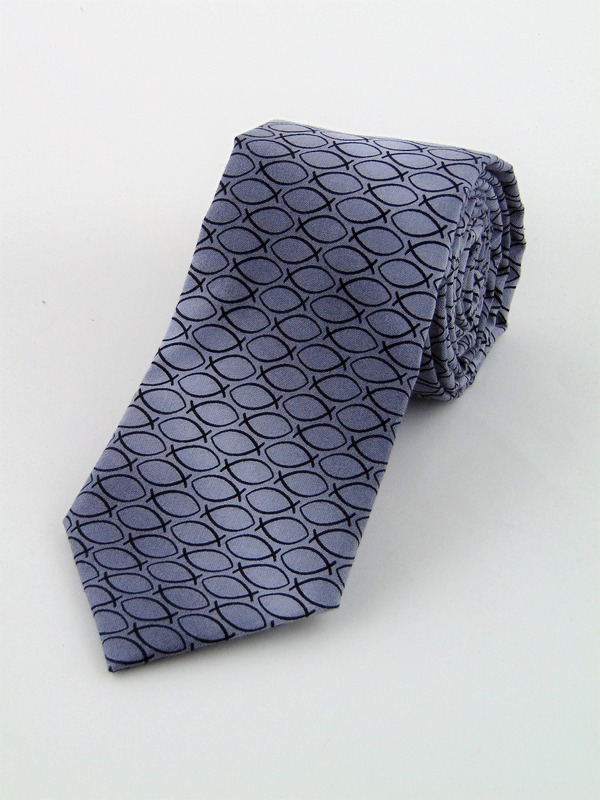 Also available as a Skinny Tie. 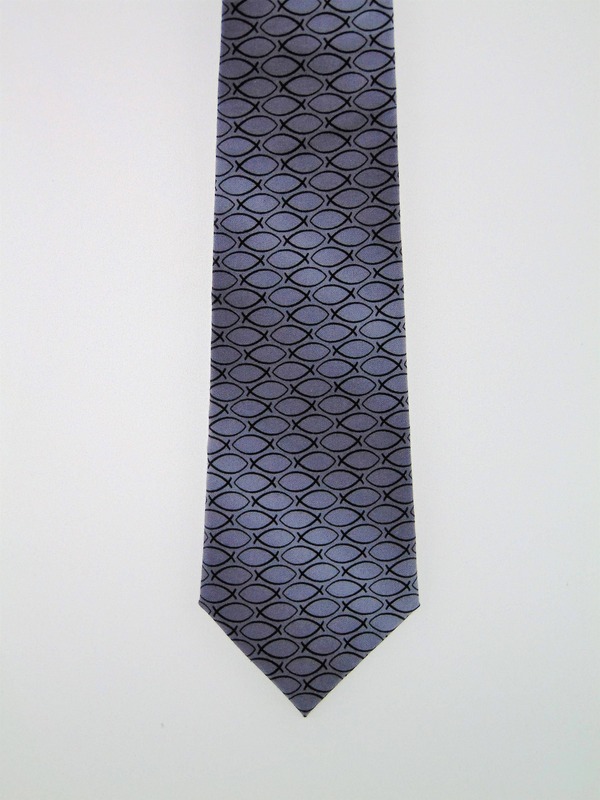 Ichthys, Classic Jesus fish mens necktie, Features A light to mediun alternating gary background with black Jesus Fish. Great! Bought it in November to give to my dad as his wedding present (I got married in Dec). 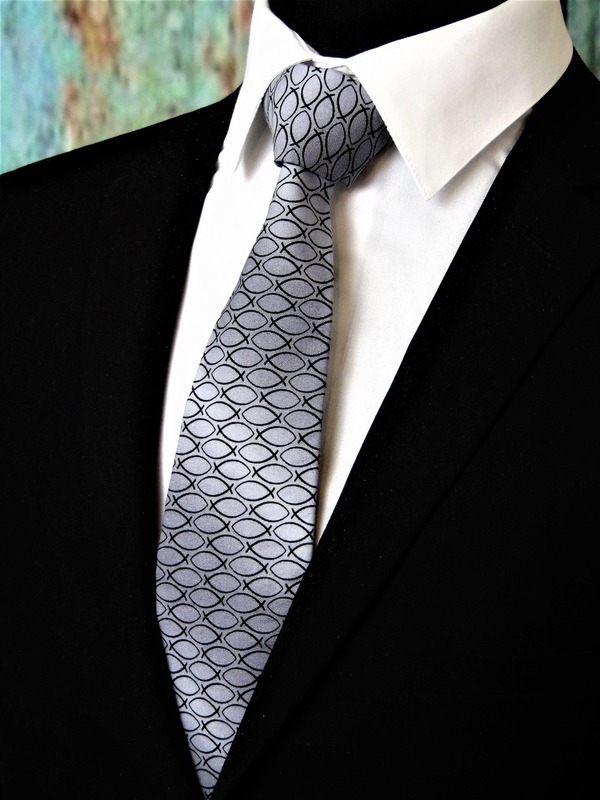 He wore it the other day and it looked great on him! I like that you can customize the size! 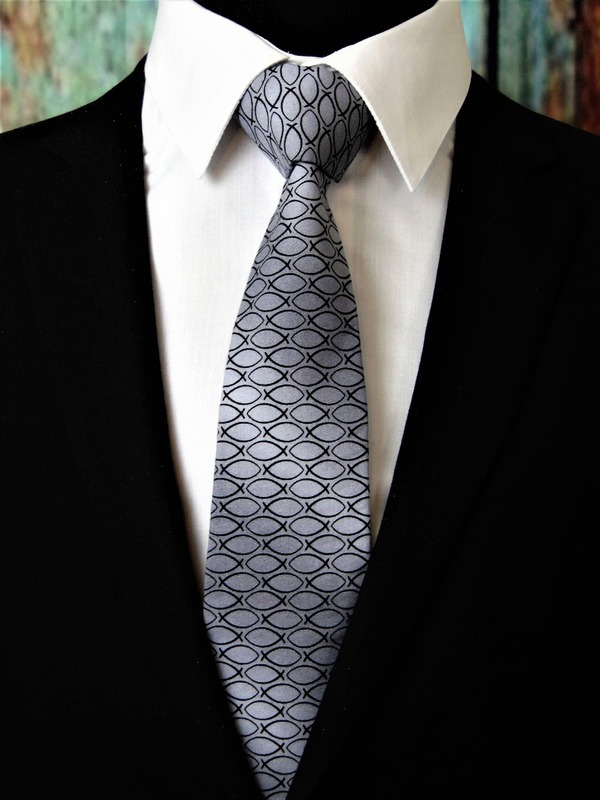 Will buy again if I ever need to buy another tie!